"Adoration is the first attitude of man acknowledging that he is a creature before his Creator. It exalts the greatness of the Lord who made us and the almighty power of the Savior who sets us free from evil. Adoration is homage of the spirit to the "King of Glory," respectful silence in the presence of the "ever greater" God. Adoration of the thrice-holy and sovereign God of love blends with humility and gives assurance to our supplications." Eucharistic Adoration is the adoration of Jesus Christ present in the Most Holy Eucharist. Although the Eucharist maintains the appearance of bread, we believe that once consecrated at Mass, what once was bread is now the Body of Christ, that is Jesus Christ Himself is really present, Body, Blood, Soul, and Divinity. Jesus Christ is God the Son and we adore Him as God present in the Eucharist. The Eucharist is displayed in a special holder, called a monstrance, and people come to pray to, adore, and worship Jesus. 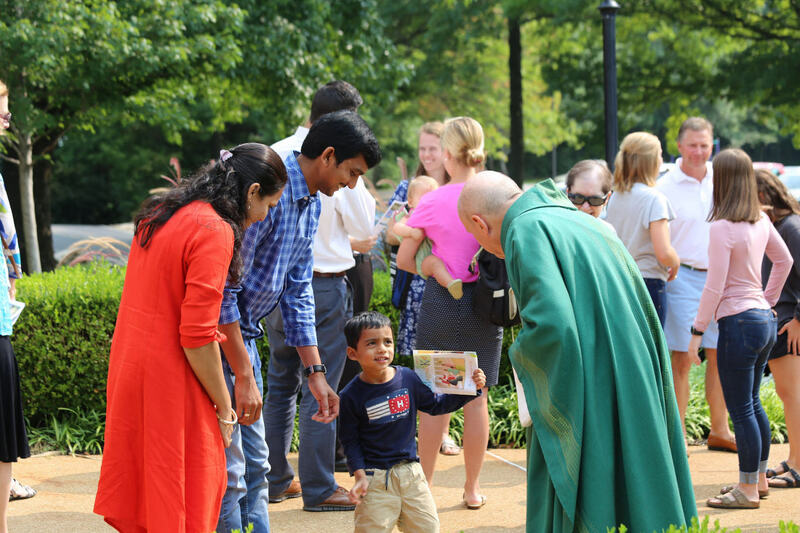 What do people do while at Adoration? Adoration - We acknowledge God for who He is, and who we are in relationship to Him. Adoring Him for His great majesty, and meditating on Him as Love, Goodness, Truth, Beauty, etc. Contrition (Sorrow) - We should examine ourselves and be contrite for our faults, failings, sins, and weaknesses. It is good to recall and present to God our these things because the more often we recognize them and present them to God, the easier it would be to confess them to Him in the Sacrament of Confession, and the easier it would be to overcome such them when they are so frequently identified. Thanksgiving - We are reminded to thank God for the many blessings and gifts we have received from Him, both the natural and supernatural. We should be grateful for the grace of salvation won for us by the Passion, Death, and Resurrection of Jesus Christ. We can and should also thank Him for blessings in our everyday life such as a beautiful day, an unexpected compliment, or for encountering Him in daily life. Supplication (Petitions) - We are told to ask and we shall receive, to seek and we will find, to knock and the door will be open to us. We should pray for the things we need and for our own growth in holiness. When we ask God for things that He wants to give us, how could He refuse? We can also intercede for others, asking God to take care of those in need. 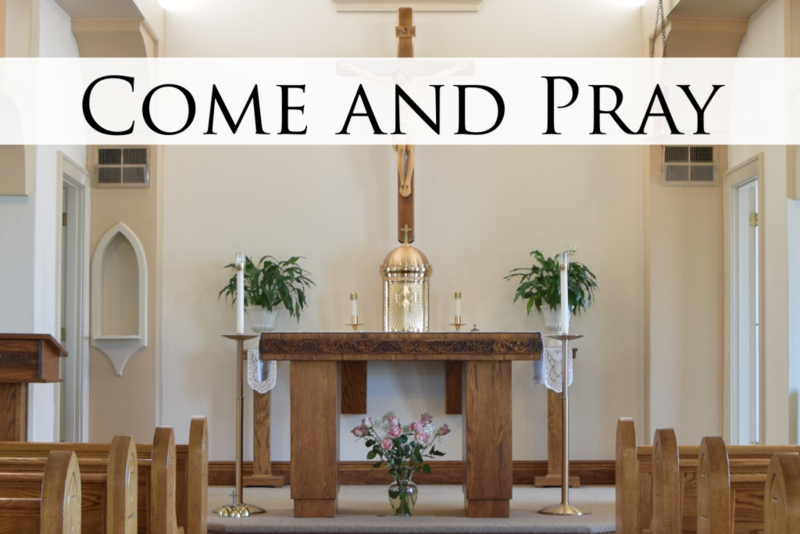 You can read about one young woman's experience in Adoration and the insights she had by going to her blog called A Beginner's Guide to Adoration. 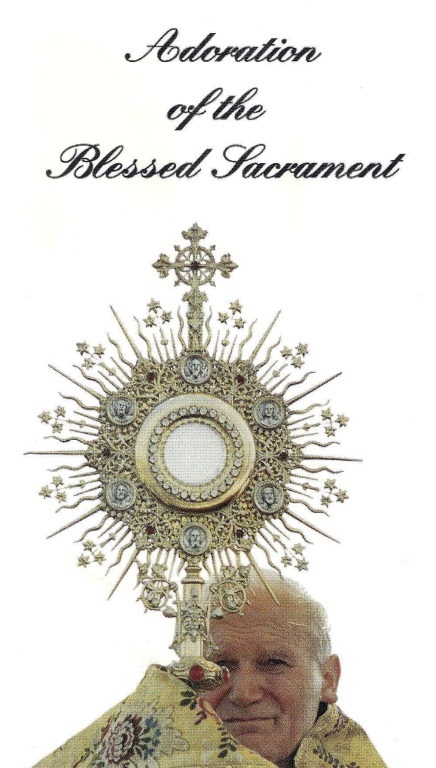 If you would like to bring a guide with you, then you can use the downloadable and printable brochure on the Adoration of the Blessed Sacrament. Ascension offers Eucharistic Adoration every Thursday following 8:45am Mass until 7 pm in the Little Church. Additional Adoration times are also available. The Little Church is open 24/7 for people to come and worship Jesus who is always present in the tabernacle.